Matt Ehrlichman is the CEO of Porch. Spending time with my wife and two young boys. It’s the best thing in life. If family isn’t allowed as a favorite activity, then it’s a tossup between spending a Sunday at a Seahawks game or a round of golf on a summer day. I’ve stayed away from the classics since college and focus my reading on either educational and business books or fast-paced action. “Getting to Yes,” “Good to Great” and “Rainbow 6” represent a few of my favorites. I am the first entrepreneur in my immediate family. I started when I was in elementary school selling sand dollars at a stand on the street. Charging $1 per sand dollar made for great margins. How’d you come up with the idea for your startup? I came up with the idea for Porch while starting the process of building a new house for my family. Getting ideas, finding the right professionals to bring those ideas to life and feeling educated in the process was not easy. In fact, the research and interview process was quite painful. Out of that pain, Porch was born. Porch is so young, and there has been so much to figure out that there have been plenty of moments of insecurity. Early on before we’d launched, Porch took a great deal of time aggregating unique and proprietary information about the project history in homes across the county and building our data platform. Once we started getting momentum after launching and we knew the business was going to work, the tension eased. That said, an entrepreneur or CEO is lying if they tell you there isn’t some amount of insecurity, concern or paranoia about their company at every point in the journey. 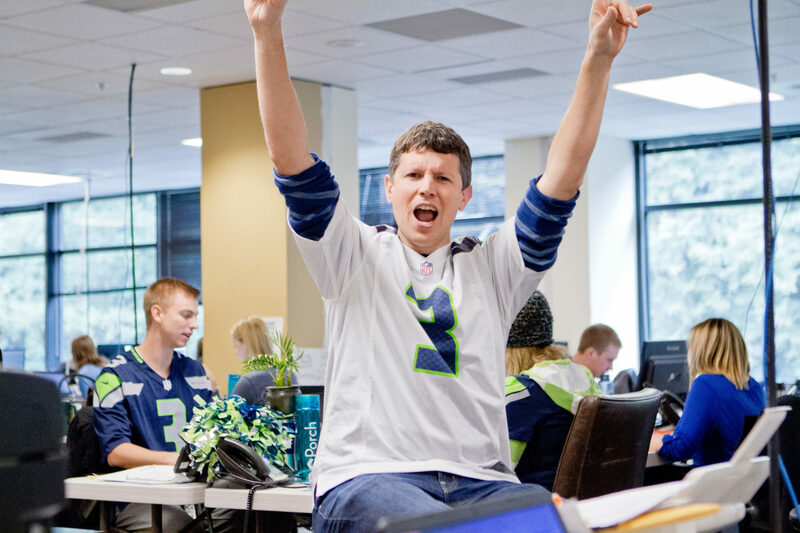 What would you describe as your company’s biggest victory since launching and why? There have been many wins, but two particularly stick out. First, seeing Porch in every Lowe’s home improvement store in the country was a big moment for our company. Lowe’s is an amazing partner, and working with them gave Porch instant credibility and “tipped” our marketplace. Secondly, seeing the team develop the insights that form the “home history report” (which we make available through realtor.com) showed what we could do with our platform and data. The report is incredibly popular — what buyers wouldn’t want to get a free report of the project history of the home they are considering purchasing? We knew we could be the best place for a homeowner to find the right professional for their home. We believed that if we accomplished this through a data-centric approach and built Porch as a network of information around the home, we would be positioned to help homeowners at each stage in the journey with their home. It is fun to see it work as well as it is. In the early stages of building Porch, I brought together a core group of employees and founders from Seattle and San Diego and decided to operate separate offices from two locations. As our company grew, communication got harder given we had our teams split between the two offices — we weren’t moving as fast as I would have liked, and we didn’t operate as crisply as we needed to. With most of our engineers based out of San Diego, it was clear that something would have to change. For Porch to be a great company, I believed we needed to have everyone involved together in one place, working in-person each day. After months of deliberation, I finally made the call to move the company to one location in Seattle. I’m so thankful for the team of developers that moved from San Diego to Seattle to help build this company into something great. It wasn’t an easy decision, but it proved to be the right one. 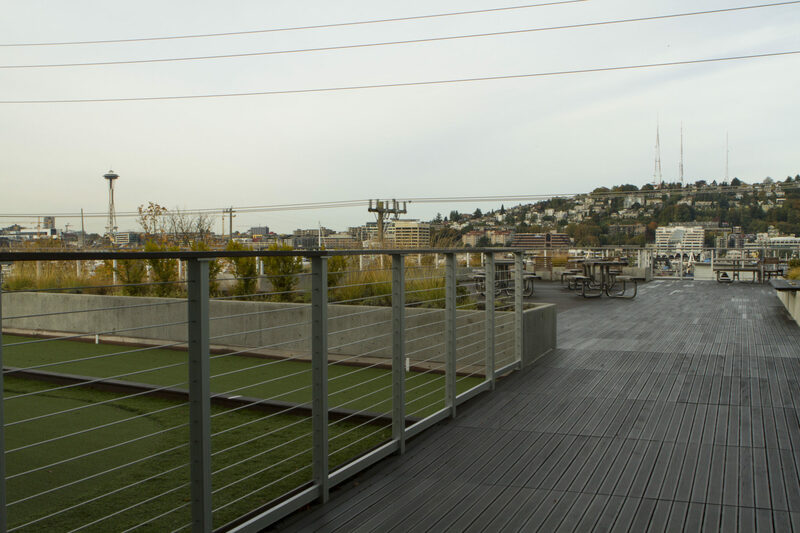 One of Ehrlichman’s favorite spots at Porch’s Seattle office is its rooftop, which includes a mini-golf and bocce ball area. With almost every other industry in the world at this point, as a buyer you can go and do research online, become informed and get the answers that you need. The home is really the one space out there where that’s just not true. It has taken a long time to bring transparency to the home space (whether it is finding the right service professional or finding the right home). There have been big strides in providing transparency to real estate over the last decade and I’m excited about the role Porch can play in this effort. For example, the “home history report” product provides homeowners a look at the home projects and permits that have been completed on a home — it’s the information every buyer wants, and we use this information to connect agents with these prospective buyers, increasing leads and increasing transparency. We believe products and information like this will become available on every listing. What is the most important lesson you’ve learned about building a business since launching your company? I knew the lesson before, but it has become increasingly clear that getting the right people on board means everything. It makes the process more fun and gives the company the ability to win. Overrated technology in real estate doesn’t yet exist. The industry continues to have so many opportunities for new technology and innovation that we’ve got many years before I’d call something overrated. As more and new information is exposed to homebuyers, the role of the listing agent will shift to ensure that information is collected and distributed to get the broadest audience access to the maximum amount of information. Buyer agents will increasingly be consultants for their clients to wade through the information to find not just a good fit, but the perfect fit. Homeowners are going to have more control in how their story gets told. The ability to track the projects you have done and the professionals who have done that work will give homeowners a chance to show off the care and effort they put into their home. When it comes time to sell, a homeowner will have the tools they need to articulate the value that has been added. Homeowners (and agents) who tell the best, most accurate story and distribute that information widely are going to have a leg up. Neither is my motivator. I have been fortunate in my career to have some big wins, and I think that is a result of focusing on the right things. If power or money are what drives you, chances are you in it for the all the wrong reasons. I simply (and truly) want to build a great company that solves a real problem in the world. My biggest professional fear is failing. I’ve yet to fail in previous ventures or with Porch, and I certainly don’t expect to start now. My biggest personal fear is not balancing effectively. It’s important to me to be a great husband, dad and CEO, and I worry about eliminating the nonessential activities in order to do well with these three priorities. If I look back and regret not having been the best dad I can be for my kids, I will have failed. I respect Move and the work it’s done to provide new and unique information to its buyers. I respect the willingness to sell the company to News Corp. and go for it. I have great respect for how Zillow has executed and scaled and for the products Trulia has built, but Move gets my vote given how effectively our organizations have stood up an amazing new product for homeowners and the way Move is changing to move faster and take more risks. Would you like to participate in our Follow the Leader profile series? Email contributors@inman.com.